Friday, January 6th, 2017, starting from 11 pm until 5 am. 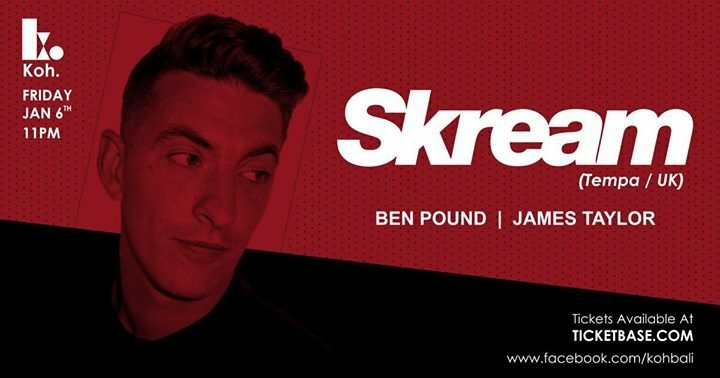 2017 Kicks of with a Koh-BANG as we welcome one of the most influential artists in the UK of the last 15 years, SKREAM (Tempa, Crosstown Rebels /UK). Over the last decade Skream has arguably been one of the most influential figures in UK dance music. After being responsible for breaking the once underground genre of Dubstep into clubs around the world. He is now playing at some of the most prestige dance music events, he has been able to expand his sound into House, Disco and Techno.